On 2nd November 2015 the Supreme Court heard the case of Regina (Wang Yam) v the Central Criminal Court and Her Majesty’s Attorney General. The appellant was convicted of murder on 16 January 2009 by a jury after a trial conducted before Mr Justice Ouseley at the Central Criminal Court. At a previous trial, the jury could not reach agreement on the count of murder but the appellant was convicted of associated counts of fraudulent misuse of the victim’s bank accounts. The trial judge ordered that part of the defence case and the prosecution’s response to it (“the sensitive material”) should be presented in camera in the interests of national security and for the protection of the identity of a witness or other person. The trial judge made an order to prohibit the publication of the sensitive material. Because of difficulties for the appellant in keeping distinct the sensitive and non-sensitive aspects of his evidence, the press and public were excluded from hearing the entire defence case. On 28 April 2011, the appellant applied to the ECtHR challenging the fairness of his conviction under the ECHR, Article 6. The appellant contends, in particular, that there was a breach of Article 6 because of the decision to hold part of the trial in camera and to prohibit the publication of that part of the defence case. Because of the Order made by the trial judge, the appellant did not include any of the sensitive material in the application. “1. Did the decision to hold the defence in camera during the applicant’s trial for murder violate Article 6.1? In his Judgment dated 27 February 2014, Ouseley J refused the application by the appellant to interpret or vary the Order to permit the appellant to use the sensitive material in support of his application to the ECtHR. Ouseley J varied the Order expressly to prohibit such use. On 31 October 2014, the Divisional Court (Elias LJ and Hickinbottom J) dismissed the appellant’s application for judicial review, refusing to quash or vary the Order. After receiving the Government’s Observations, and the appellant’s Reply, the ECtHR noted, on 1 July 2015, the fact that this Court has granted permission to appeal. The ECtHR invited the appellant and the United Kingdom to agree to the adjournment of the application to the ECtHR pending the judgment of the Supreme Court. This was agreed. (1) The common law and any relevant statutory provision must be construed and applied consistently with the international human rights obligations of the United Kingdom under the ECHR, subject only to any legislation which clearly and expressly (or by necessary implication) provides to the contrary. (2) The international human rights obligations of the United Kingdom include a duty to allow access by the appellant to the ECtHR, so that he can inform the ECtHR of any material in his possession that he considers relevant to his application. (3) There is no legislation which clearly and expressly (or by necessary implication) limits or excludes the relevant international human rights obligations of the United Kingdom and the rights conferred on the appellant. (4) Further or in the alternative, there is no proportionate basis for an order preventing the appellant from disclosing the sensitive material to the ECtHR in support of his application. The case was heard by Lord Neuberger, Lady Hale, Lord Mance, Lord Clarke, Lord Sumption, Lord Reed and Lord Toulson. In oral submissions to the Supreme Court, the appellant developed the following points; firstly that the United Kingdom has an international obligation pursuant to Article 34 to allow the appellant unimpeded access to the European Court. The essence of Article 34 is that it is for Strasbourg to decide the application, not the domestic court. Article 34 entitles the individual to put his case to the ECtHR afresh and unless he is able to put the material upon which he relies before the European Court the value and the efficacy of the ECtHR is undermined. It was emphasised that the sensitive material in issue was material presented by the appellant and not material which had emerged during the course of the original trials, thus distinguishing it from other disclosure cases. The ECtHR has considered the appellant’s case worthy of consideration and has requested the UK to respond. Secondly, that the domestic courts will seek to interpret common law consistent with international obligations. Thirdly, where the international obligation is a human rights obligation, the domestic courts will be especially concerned to ensure it is maintained and if there is to be a breach, Parliament must make express provision to act contrary to the international human rights obligation. The Respondent contended in response that the common law has never recognised a right of access to an international court as a fundamental common law right. It has always been a matter of governmental choice whether to afford access for its citizens to international courts by way of individual petition; the right of individual petition and the scope of procedures applicable to applications before the ECtHR are matters of treaty obligation. They sound on the international plane. The scheduled HRA rights do not include Article 34 and therefore there is no domestically enforceable right of individual petition to the ECHR; it is part of the domestic courts’ inherent jurisdiction to protect the public interest by calling for restraints on publication and/or use in court proceedings of sensitive material. It is for the court to balance the respective public interests at play however if the appellant is correct in asserting a right of unimpeded access to the European court, this would in effect remove the domestic court’s jurisdiction and place disclosure decisions solely in the hands of the litigant. 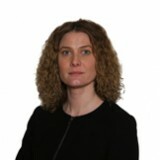 The appellant was represented by Lord Pannick QC, Kirsty Brimelow QC and Nikolaus Grubeck, instructed by Janes Solicitors. James Eadie QC and Jonathan Hall QC appeared for Her Majesty’s Attorney General. Leave a reply on "Case Preview: R (Wang Yam) v Central Criminal Court & Anor"